The way travel writers discover a destination is considered somewhat of an art and craft (along with plenty of misadventures), and it’s possible for you to have experiences in Marrakesh like that, if not better. After all, unlike a travel writer, you won’t be on the job, which leaves you free to explore this scintillating city in a new way! And while this may be a guide to experiencing Marrakesh like a travel writer, essentially you could pull these steps off in any destination. Travel in this way, and you’ll come back feeling more enriched and fulfilled from your trips and tours! Spend a day in the life of a travel writer, and you’ll learn that before going anywhere, they do a crazy amount of research. That research does not stop at what to see, eat and do in a place. From a city or country’s geography or culture to its politics and current affairs, travel writers will learn as much as they possibly can about a destination before stepping foot on the plane. 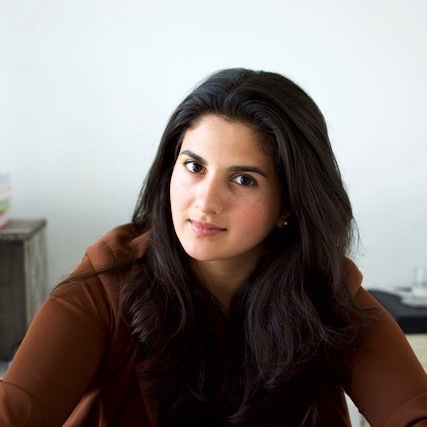 In case their story has a focus or angle, based on the country’s art, history, or food, for example, they’ll do copious amounts of reading on that too. Marrakesh is a fascinating melting pot rich in artisan crafts (from leather tanning to the intricate tiles that adorn buildings), steeped in faith and culture (from the souks and medina to the Jewish mellah and old world Islamic architecture), a spectrum of flavours, and a former imperial city full of history. Pick things of interest to you, and this won’t feel like homework. It makes visiting somewhere all more exciting (and a little familiar in a good way), and you’ll arrive in a new destination with some insight and knowledge. Do your research by reading articles (The New York Times 36 Hours have one on Marrakesh that will whet your appetite), novels and guidebooks; some travel writers will also read academic papers and history books. I would also recommend watching documentaries or movies – episode three of Michael Pollen’s Cooked has a beautiful story investigating the ancient custom of making bread in Morocco through a mother and son. The bread I ate in Marrakesh tasted all the better for it. Also, check to see if local cultural events are happening in your city or if any museums have relevant exhibitions you can visit. Who knows? You may even meet people that have visited Marrakesh who can share insider tips or put you in touch with locals. Your research will make you curious about things you can experience in Marrakesh beyond the usual recommendations. One reason travel writers have to do all the reading is that eventually, they will write a story about the destination they are visiting from their unique point of view. You may not have a story, but you have an edge, and you need to bring that in to play. What are your passions back home? If you live for art or history back home, then you have to visit the incredible museums in Marrakesh. 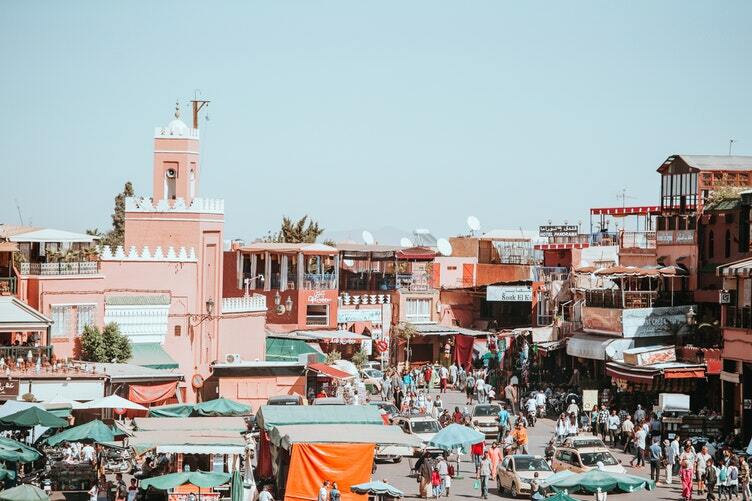 In general, the city is unbelievable for art enthusiasts, from the crowded market lanes and museums to galleries and creative spaces, Marrakesh thrives on pursuing this form of human expression. But if you’ve never set foot in the museums or galleries in your city, why would you do that in anywhere else in the world just because some list claims it’s one of the top things to do? 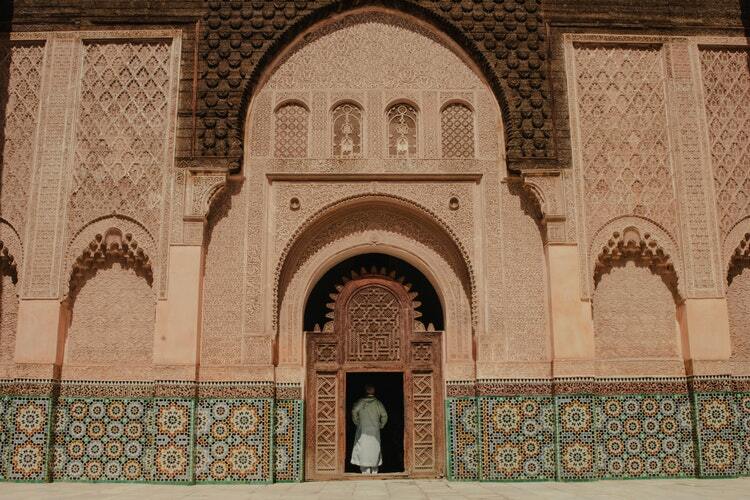 To experience Marrakesh like a travel writer, shape your trip based on what you love. I’m a die-hard foodie, with a penchant for tea and spices. Couscous is one of the first ingredients I ever cooked with. My first trip to Marrakesh was always going to be about exploring the country’s cuisine. I spent a lot of time in the souks talking to knowledgable shop keepers about how to cook with harissa, ras el hanout and lemon spice. I followed one lead after another to track down the best argan oil, rose water, and tea blends (which took me to Ourika Valley). I ate at places locals and chefs recommended: the Berber eggs and date milkshakes at Café Clock, the ginger and harissa calamari at Nomad, and mechoui (slow roasted lamb) from a food stall in Jemaa el-Fnaa. If you want a local experience, think about what you like to do at home, and immerse yourself in those activities. If you love sports, then dig into Marrakesh’s sports scene. If you enjoy hiking, hit the city’s trails. Don’t let some list or guide for that matter determine what you do all the time. Travel writers need to be immersed in a destination to write about it; having local connections helps with that. I highly recommend staying in a small locally run riad in the old city of Marrakesh, as opposed to the more commercial ones. Riads are traditional Moroccan homes with interior courtyards and gardens, which make you feel like you’re staying in a mini palace. I stayed at Riad Port Royale, and the manager, Lehsan was better than any guidebook or article. Along with his insight of Marrakesh (which he was happy to share), he makes incredible mint tea. After a day of exploring, nothing was better than coming home to the courtyard and sipping a freshly made cuppa with him while being regaled with stories. If you’re visiting Marrakesh on a tour, look for a reputable company that works with local guides. You could also comb through your social networks to see if there are any meaningful connections you can find there, six degrees of separation and all that! One day in Marrakesh, after spending the morning detoxing in a hammam, my sister and I decided to ditch our plans for the day, and go back to our riad with fried chicken instead. One of the things I loved about Marrakesh is it’s a great place to go off the itinerary. There were plenty of things we wanted to do and see, but when we got to Marrakesh what we enjoyed most was “hanging out.” Being in the swirl of art, spice, leather, and clamour of this city was so fulfilling. We bailed on everything, and hung out in our riad with Lehsan, with shop owners in the souks, in the cafes and restaurants. One night, we were on our way somewhere but passed by the most delicious smelling food stall, the chef beckoned us over and made us try something he had just cooked and insisted we sat down. He started dishing out plates to us with local dishes. Other people passing by became curious as to what was happening and also sat down to eat. Playing off the crowds, the chef began to get more excited, and our impromptu meal was turning into quite the spectacle, and all of a sudden we were swept up in an experience without even trying. These engaging experiences became my story, you can go to Marrakesh and try to cram everything in, or you can go at your own pace. You don’t have to visit all the museums, attractions and landmarks to experience this city, just open your eyes and heart to the people. 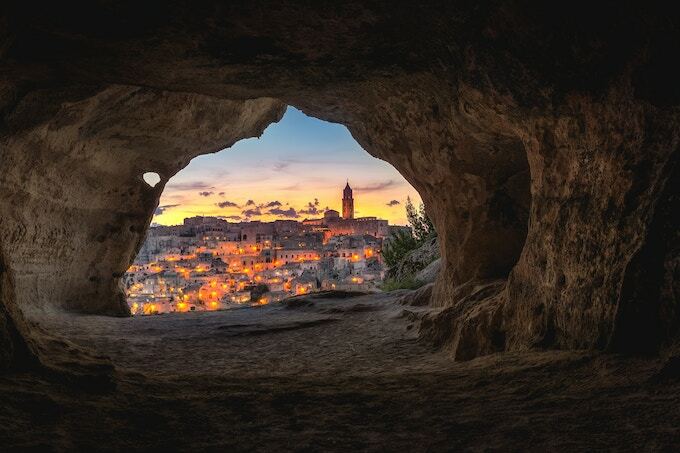 Too many people explore destinations based on what others have seen. While I think the medium of travel writing is an excellent catalyst for adventure and discovery, it’s just the beginning of a trip. Everyone wants to travel like a local, and while that’s a unique way to explore, no one in this world is more unique than you. Why not explore Marrakesh as you? When you’re on a tour, use your free days to explore this city based on what stirs your imagination. If traditional heritage tile work and old world architecture don’t move you, don’t waste precious hours of your vacation on it. This goes back to my earlier point. What are your passions? Like any good travel writer, you can use them to shape the way you experience the world. I’m sharing some of my favourite things about Marrakesh below, but hopefully, you’ll take your journey one step further. Restaurants: Café Clock and Nomad were my favourites. Especially if you want to eat things like lamb burgers, camel burgers, and cumin grilled calamari. Local Experiences: They are everywhere, but I was the happiest learning about spices and tea in the souks. Sometimes shop owners will even invite you to have a cup of mint tea with them. I also went to Jemma el-Fnna every night after sunset to soak in the atmosphere. Hammams: For many Moroccans, a visit to the hammam is more of a social event than blissful spa experience. You do emerge with rejuvenated skin, but it’s a tradition rooted in the ritual of Islamic cleansing. To experience it like a local, you need more of a do it yourself attitude – buy your glove and black soap at reception and scrub down yourself – check out Hammam Dar el-Bacha, the largest public one in Marrakesh. If you want someone to do the work for you, try Le Bain Bleu, a popular choice among locals, where it only costs a little more for someone to scrub you down. Attraction: The gardens of Jardin Majorelle are lovely. They were created by French Orientalist artist, Jacques Majorelle over almost forty years, starting in 1923. 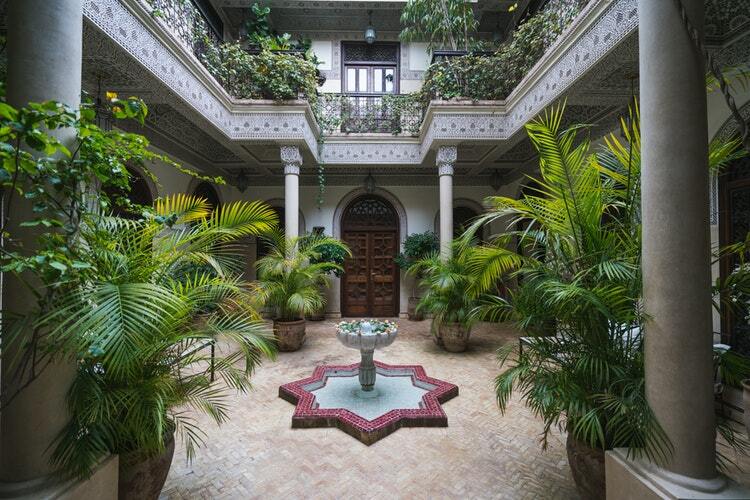 Along with exploring a two-and-a-half acre botanical city oasis, you can visit Musée Berbère. Located in the gardens and exhibiting several hundred artefacts of indigenous heritage, the museum’s curated collection includes wood, leather, metalwork, textiles, musical instruments, and traditional clothes. Day trip: A little over an hour away from Marrakesh, Ourika Valley puts you in the foothills the High Atlas peaks. 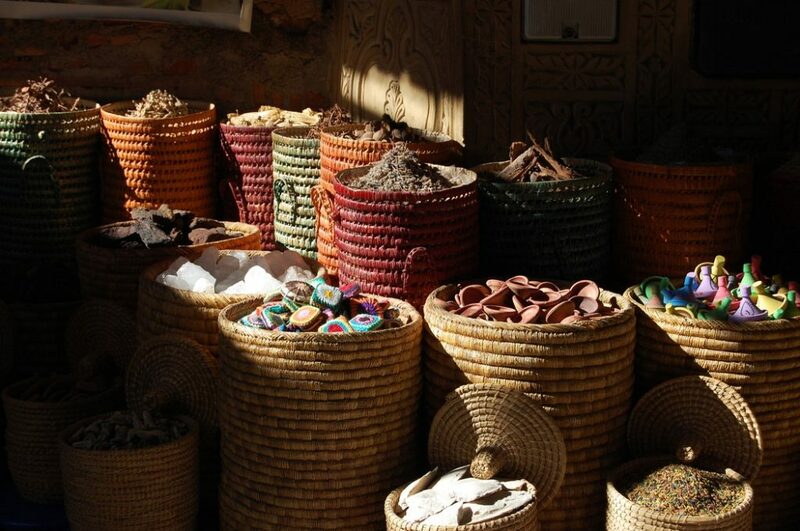 You can eat homemade tagine by the Ourika River, visit Argan oil cooperatives, and look in on Berber villages. It’s more than a little touristy and busy, but I loved being around the restaurants with colourful chairs and umbrellas against the flowing waters. It reminded me of the similar river restaurants in northern Pakistan.